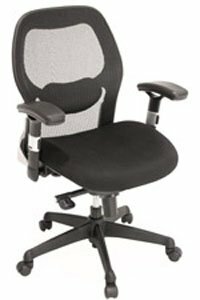 If you’re searching for used office chairs to furnish your place of business in Atlanta, Georgia, or any of the surrounding communities, turn to NorthPoint Office Furniture. We carry high-quality used chairs that show little to no usage and are manufactured by some of the most trusted names in industry, such as HON, Fairfield Chair, La-Z-Boy Contract, Global, and more. And, at our beautiful showroom, you’ll be able to see the chairs you’re considering for purchase yourself. We welcome you to sit in and inspect them to ensure that they provide you with exactly what you need. In addition to new and used chairs, as a full-service office furniture supplier, we carry anything else you may need for your office. Just some of the different furniture you’ll find at our showroom includes computer desks, conference tables, reception furniture, workstations, bookshelves, filing cabinets, credenzas, hutches, and virtually anything else you may need. To learn more about the used office chairs we can provide for your business in Atlanta, GA, contact NorthPoint Office Furniture today or stop by our showroom.